In the expression “writing icons” there is already something that can be learned about what an icon is. 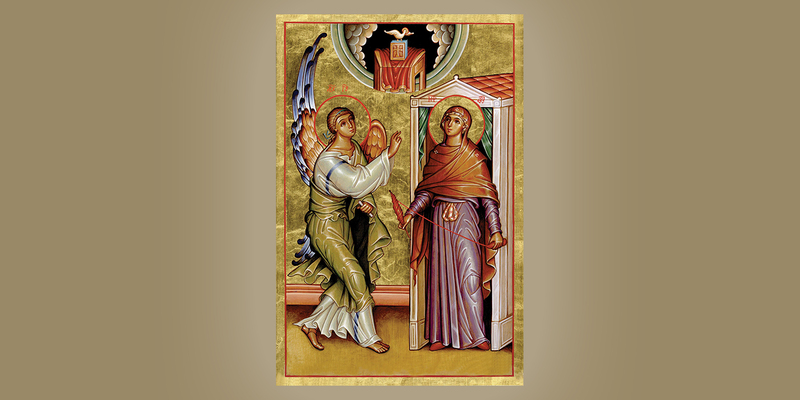 Tradition has long used this designation in order to indicate that an icon is a visible manifestation of the content of the Sacred Scriptures. 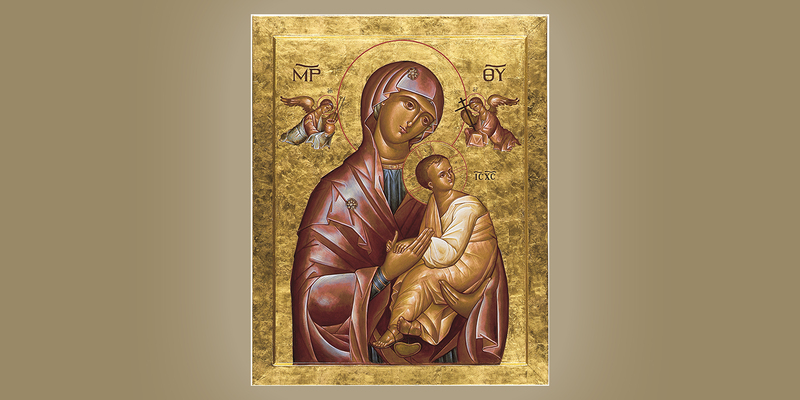 Thus, in an icon the artist is writing the scriptural content in form and color and story. 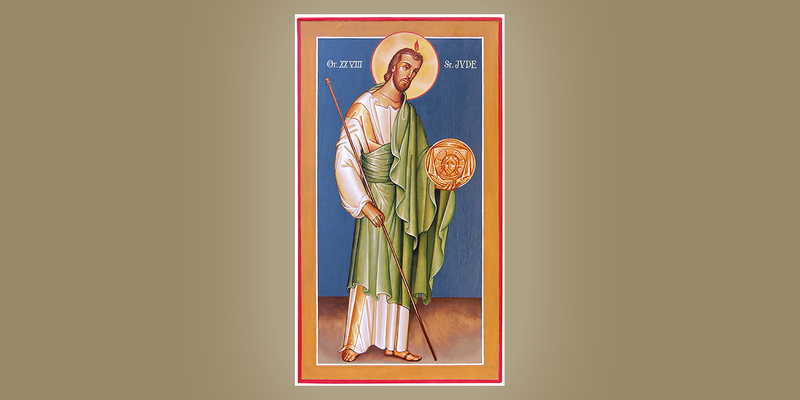 The holiness of an icon and the presence of God that it imparts derive from the Scriptures. 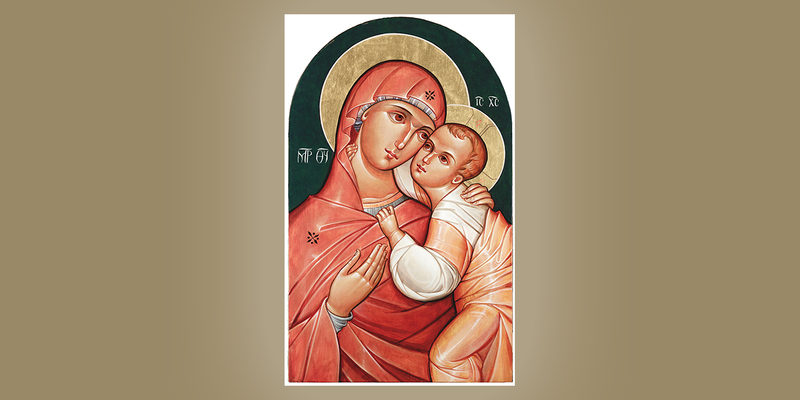 In the same way that God in Christ is incarnate and present to us in the Scriptures, so also is he present in the form, the color, and the narrative of the icon. 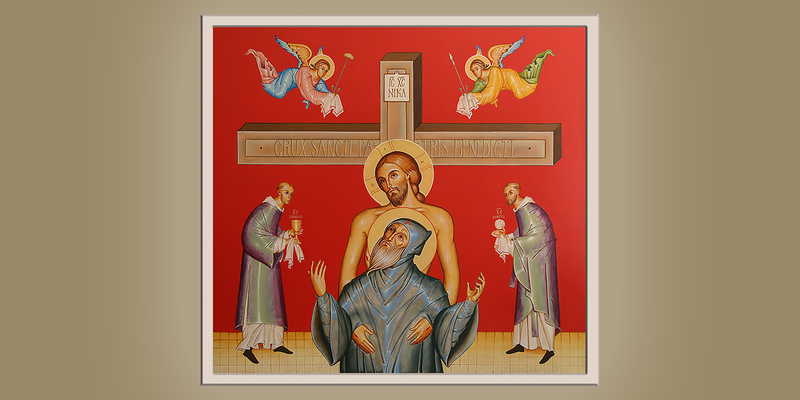 Iconography of Br. Claude Lane, O.S.B. 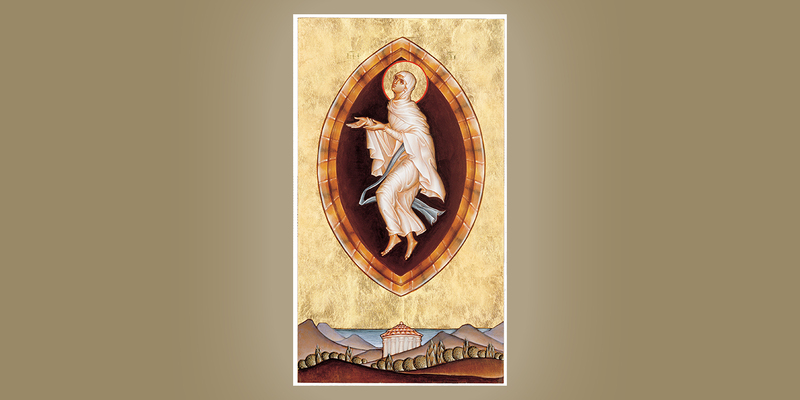 Christian iconography is a living art practiced at Mount Angel Abbey by both monks and students in our seminary. Primarily, it is Br. Claude Lane, O.S.B., who has written most of the icons seen on the hill, and who has been teaching the technique for over twenty years. 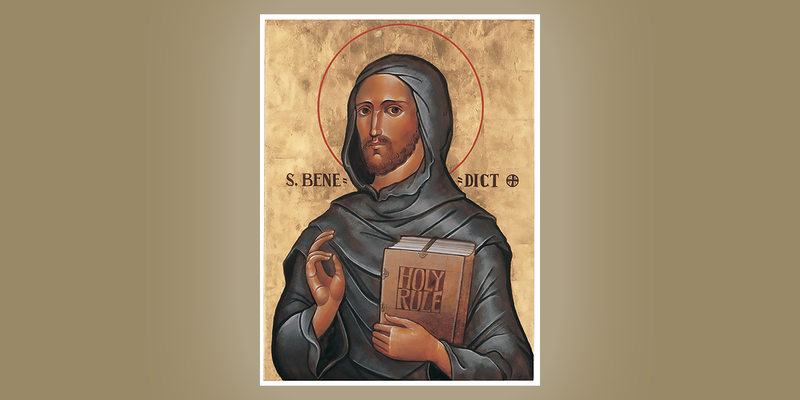 His goal, as presented to him by our beloved late abbot, Bonaventure Zerr, O.S.B., has been to create images that reflect the theology, as well as some of the canonical and stylistic traditions preserved over the centuries by the Churches of the Christian East, while, at the same time, adapting the craft to the theological and devotional traditions of the Catholic Church. Brother Claude has been drawing and painting since childhood. 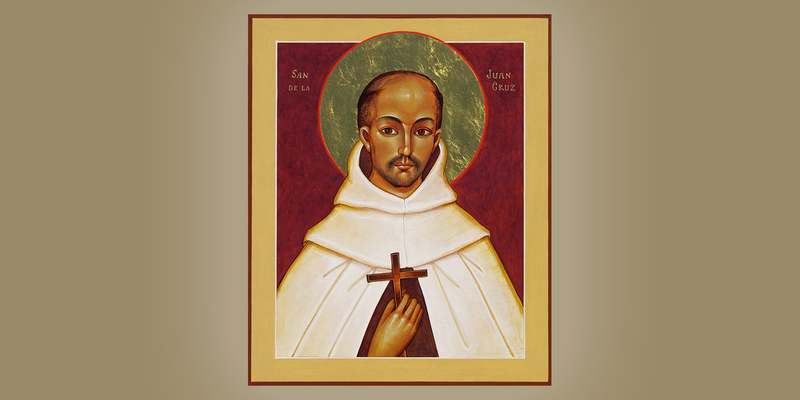 He entered Mount Angel Abbey in 1972 and made his vows in 1974 at the age of twenty-one. 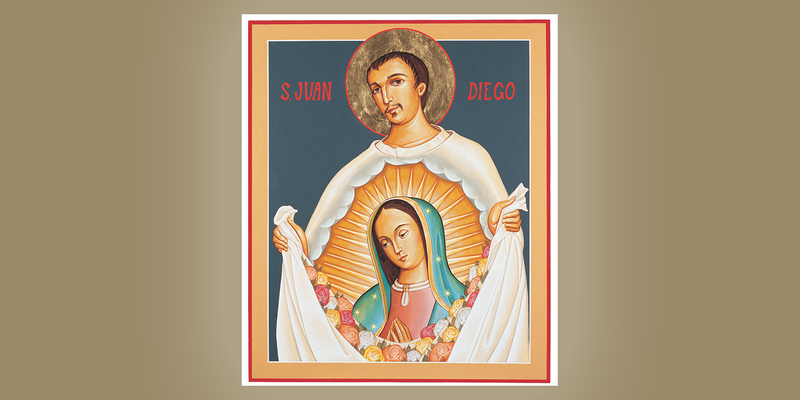 In 1985, Abbot Bonaventure encouraged him to try iconography. He works primarily in acrylic, although he has used egg tempera and wax encaustic. He has written more than a hundred icons. Unlike most iconographers who exactly copy outlines provided by ancient tradition, Claude prefers to follow the style of classic iconography while creating original images from multiple sources of inspiration. 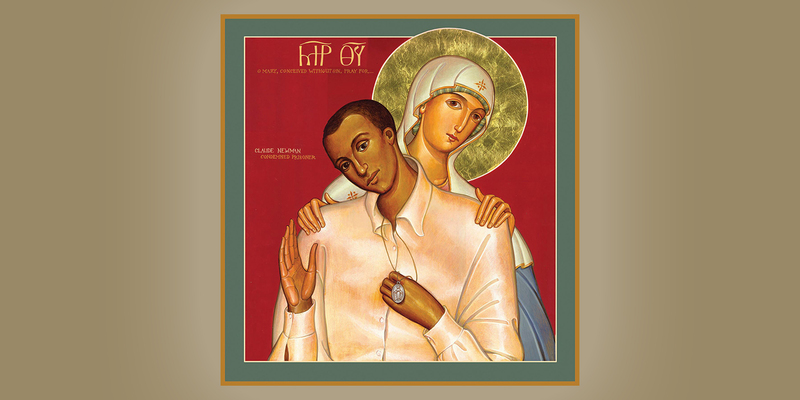 He draws upon Roman Catholic concepts in his art in addition to Orthodox ones. 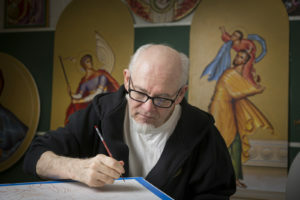 Brother Claude was instrumental in the establishment of the Mount Angel Abbey Iconography Institute, an annual week-long training experience for iconographers since 1986. 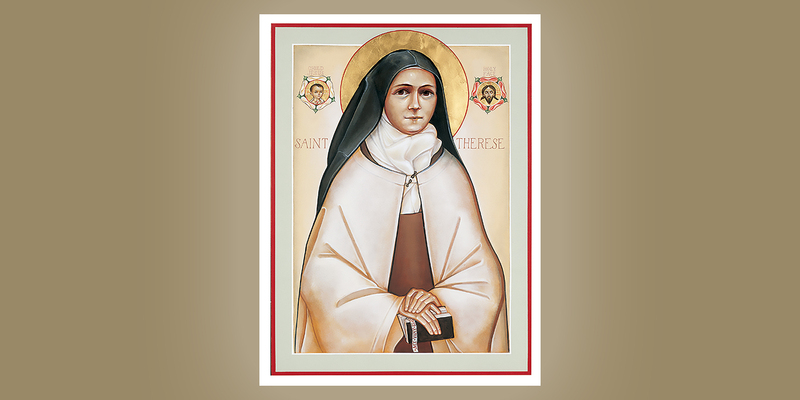 All images © Mount Angel Abbey. All rights reserved. No image may be reproduced without express permission of Mount Angel Abbey. To request permission, please email: press@mtangel.edu.